We are engaged in offering Underwater LED Light to our clients. We are the leading manufacturer and supplier of LED Fountain & Underwater Lights. These are manufactured from high grade raw material and state of the art technology. 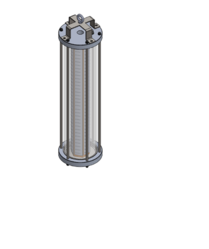 These are supplied in any quantity and are supplied at competitive rates. With the assistance of our dedicated team of professionals, we are providing a premium quality range of LED Underwater Lights. LED Underwater Lights -We have a wide range of underwater lights in different wattages to suite your requirement. Kindly contact us for more details and best pricing. Our products come with 2 years warranty. These lights are waterproof and can be used for swimming pools, fountains etc. With an impressive growth record in this industry, we are providing a wide array of LED Underwater Light. Trio 3 in 1 LED Buried Light IP 65 with Built in Driver. Water proof in nature, offered LED Underwater Light is reliable in working and made by experts in simplest way. In addition to this, these presented underwater lights are best in working and properly examined by professionals to let patrons have best products. We charge optimal price for this underwater light. 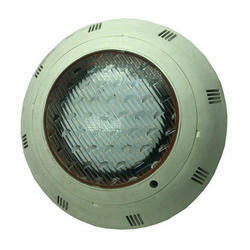 RDS has come up as one of the major producer and supplier of a huge range of LED Underwater lights. Our lights are specifically engineered for mounting in fountains and swimming pools. Our range is low on maintenance and high on performance. With many size and shape variants, these light make up for a reasonable bargain. We have wide range of programmable under water nozzle mounted LED lights those are made by high grade of material. These are made by according to the client requirement. Client can direct contact us for more details.